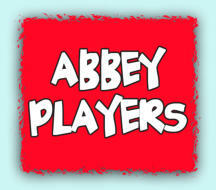 Welcome to the website of Nuneaton’s Abbey Players. Founded in 1987 the Players have recently celebrated being 30 years young! After the succesful run of their first full-length play the Players return to what they enjoy doing the most, pantomime! This year the Players will be staging “Jack And The Beanstalk”. In this traditional adaptation of the story, the villagers are being terrorised by Fleshcreep the Giant's henchman, and that Dame Trott faces eviction after falling behind in her rent. In order to raise money, Jack sets off to the market to sell Daisy the Cow but is tricked into selling Daisy to Fleshcreep for a bag of beans. With the help of Fairy Beansprout the beans grow a magic beanstalk into the Giant's kingdom in the clouds, and when Fleshcreep then kidnaps Jack's love, Jill, he climbs up the beanstalk to rescue her Packed full of song, dance, and slapstick comedy this is the perfect start to the Christmas season for children of ALL ages from 5 to 85. This show is always a sell-out so book early to avoid disappointment.